ALEXANDRIA, Va. – The National Energy Management Institute has awarded Virginia Tech a $200,000 grant to document the efficiency of fume hood retrofits in the context of lab spaces. 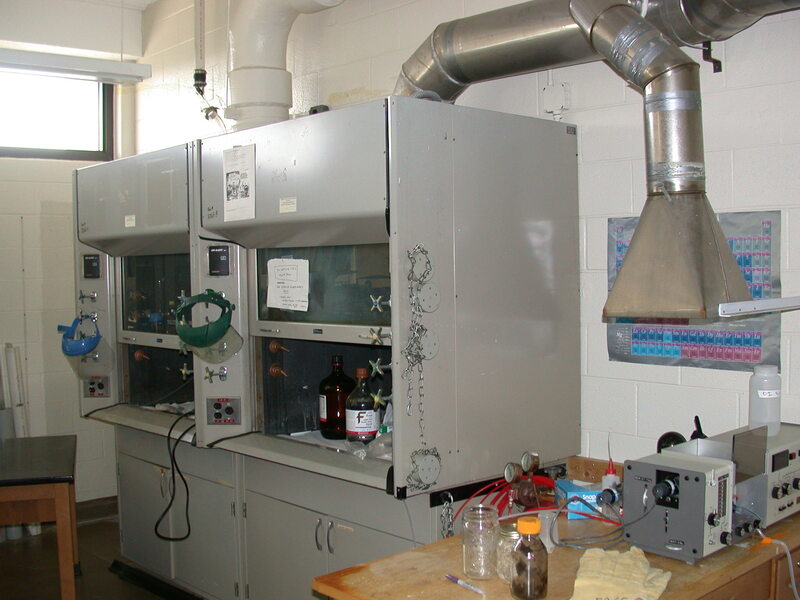 A fume hood is a type of ventilation device designed to limit exposure to hazardous or noxious fumes, vapors or dust. It is typically a large piece of equipment enclosing five sides of a work area, the bottom of which is most commonly located at a standing work height. In layman’s terms, the goal of the grant is to document the impact of fume hoods on overall lab space performance, said Dr. Georg Reichard who, along with Dr. Shashank Priya, will serve as principal investigators on the project. Reichard and Priya both serve as associate professors at Virginia Tech. “Fume hoods are notorious energy hogs. However, simply replacing fume hoods with more efficient systems may not show the anticipated savings unless they are integrated into an overall lab design,” Reichard said. NEMI selected Virginia Tech as the recipient of the grant because of the high caliber of the lead researchers, particularly in the areas of energy management and conservation. The researchers intend to attain new data and knowledge of selected retrofit scenarios of fume hoods and their impact on the overall energy consumptions of HVAC systems in laboratory spaces; demonstrate retrofit scenarios of fume hoods that include an integrated retrofit solution of the HVAC system of laboratory spaces; and develop a modeling approach for prediction of energy savings through different retrofit scenarios of fume hoods and impacted systems in a given categorized setting. Reichard began his academic career at the Graz University of Technology in Austria where he taught and researched building physics, and conducted structural and physical experiments for the building industry. He was a visiting scientist at Lawrence Berkeley National Lab where he participated in a collaborative international project studying building science. Priya is a pioneer in the area of energy harvesting and laminate composites. He has authored more than 165 publications in international journals and holds four patents. He is the recipient of numerous awards for his research, including the “Outstanding Technology of the Year—2007” award sponsored by the International Academy of Science. The researchers will work with NEMI to develop industry partnerships as the research progresses to secure additional resources, materials and equipment. NEMI expects to have results and analysis for practical applications early next year. NEMI is a not-for-profit organization created in 1981 by the SMWIA and SMACNA to identify emerging markets and employment opportunities as well as develop programs to capitalize on them. Through its affiliation with the Testing, Adjusting and Balancing Bureau (TABB) and the International Certification Board (ICB), NEMI sets the standards for the sheet metal and air conditioning industry, creating ANSI-accredited (American National Standards Institute) certification programs for HVAC (heating, ventilating, air conditioning) technicians, supervisors and contractors. In addition, NEMI identifies opportunities and stays on the leading edge of emerging markets for the sheet metal and air conditioning industry, including testing, adjusting & balancing (TAB); energy auditing; sound and vibration; HVAC commissioning; indoor air quality; life safety systems; and service and retrofit. The advancement of skills in these areas opens new employment opportunities for the sheet metal worker and increases market share for the SMACNA contractor. For more information on emerging markets in the sheet metal and air conditioning industry, contact the National Energy Management Institute (NEMI) at www.nemionline.org or call 703-739-7100.